Convenient with a wide variety of optional accessories specifically designed to be compatible with each instrument. To comply with international standards in regulated environments, documented verification that your instrument is installed and functioning according to its intended use is required. 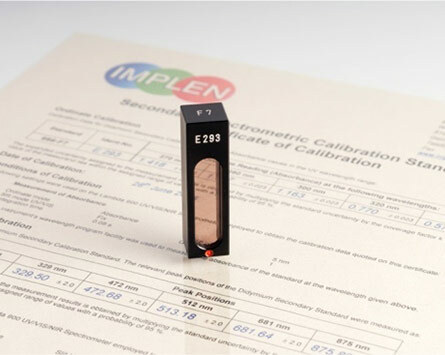 Our Installation Qualification and Operation Qualification (IQ/OQ) package provides conforming data to document and verify that your instrument is working according to specifications in case of an audit. 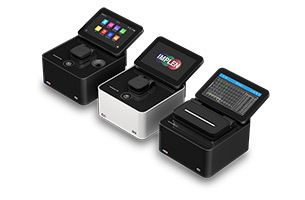 Even though the NanoPhotometer® is considered recalibration free, also non-regulated laboratories may utilize the IQOQ package, since it provides added peace of mind that the system is working appropriately and producing high-quality data. 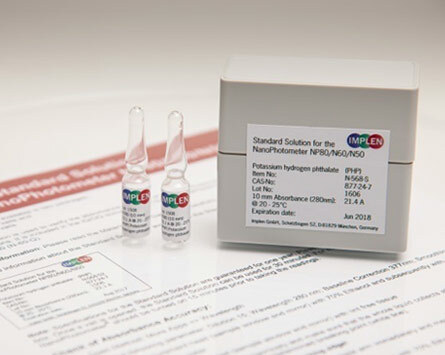 The NanoPhotometer® IQOQ package consists of a liquid and/or a solid NIST traceable secondary standard and a corresponding Excel based software tool depending on the type of instrument. The liquid standard is based on a non-toxic compound absorbing at 280 nm to cover the area of most interest for Life Science Applications. All secondary standards come with a certificate of compliance. The Excel based software produces an automated report displaying all relevant data for an audit. A sample report can be downloaded here. For more information and to obtain an individual quote, please contact your local partner. For technical support, contact our support team using our website contact form.